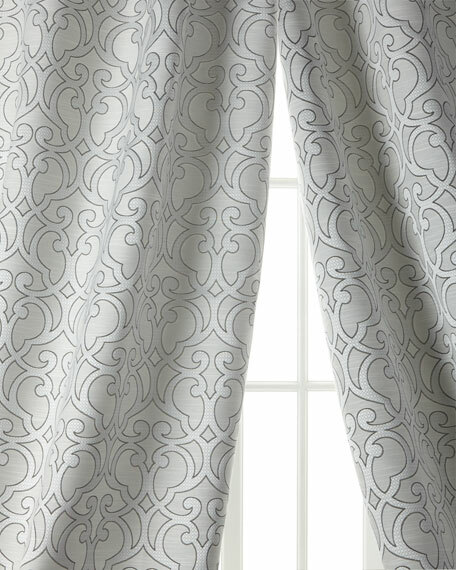 Jacquard curtains with allover textured ironwork motif. 3" rod pocket; back tabs; lined. 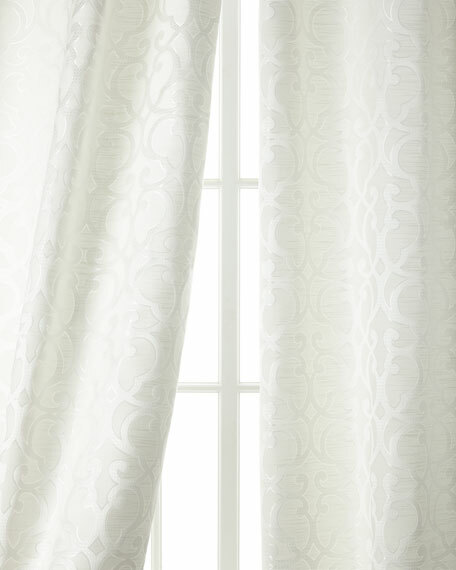 Each curtain is approximately 52"W x 96"L.